The Fellows of the Pike Center are established scholars who are currently participating in Pike Center programs. Recognition as a Fellow is based on having a strong publishing record. René is a Senior Linguistics Consultant for SIL International. He earned a PhD in Linguistics from Leiden University in 1989 and has done fieldwork in Indonesia and Papua New Guinea. His main research contributions have been in the areas of language description, lexicography, and historical-comparative linguistics of Austronesia. See publications. Albert is Director of the Summer Institute of Linguistics at the University of North Dakota and is Linguistic Services Coordinator for the Global Sign Languages Team of SIL International. He earned a PhD in Linguistics from the University of California at San Diego in 1987 and has done fieldwork in Mexico. His main research contributions have been in the areas of sign languages and the indigenous languages of Mexico. See publications. Mike is the Orthography Services Coordinator for SIL International. He earned a PhD in Linguistics from the Ohio State University in 1999 and has done fieldwork in Ghana. His main research contributions have been in the areas of phonology, tone analysis, and the design of practical orthographies. See publications. John Clifton is a Senior Linguistics Consultant with SIL International. He earned a PhD in Linguistics from Indiana University in 1980, and has field experience in Papua New Guinea and Azerbaijan. His main research contributions have been in the areas of orthography, sociolinguistics, and language documentation. See publications. Diane Dekker is a Senior Literacy and Education Consultant with SIL International, and Literacy and Education Coordinator, LEAD Asia. She earned a PhD in Language and Literacies in Education from the University of Toronto in 2016, and has done fieldwork in the Philippines. Her main research contributions have been in mother-tongue-based multilingual education planning and implementation, as well as first language materials development and teacher training and development. See publications. Tom Headland is Senior Anthropology Consultant with SIL International. He earned a PhD in Anthropology from the University of Hawaii in 1986, and has field experience among the Agta Negrito hunter-gatherers of the Philippines. His main research contributions have been in Ecological anthropology, Hunter-gatherer societies, and Philippine Negritos. See publications. Angela Kluge is a language assessment consultant with SIL Malaysia and LEAD Asia. She earned a PhD in linguistics from Leiden University in 2014, and has done field work in Malaysia. Her main research focuses on the discourse of Papuan Malay as a contribution to the ongoing language development and Bible translation efforts in the language. See publications. Paul is a Senior Sociolinguistics Consultant for SIL International. He earned a PhD in Sociolinguistics from Georgetown University in 1994 and has done fieldwork in Guatemala. His main research contributions have been in the areas of language planning, language maintenance and shift, and the sociology of language. See publications. Sherwood G. Lingenfelter is Provost Emeritus and Senior Professor of Anthropology, Fuller Seminary. 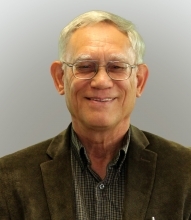 He earned a PhD in Anthropology from the University of Pittsburgh in 1971, and his field research includes three years in the Yap Islands of Micronesia and short-term research projects with the SIL International in Brazil, Cameroon, and Suriname. His main research contributions have to do with cross-cultural issues in areas like ministry, teaching, and leadership. See publications. Steve is Associate Professor of Linguistics and Director of the Masters in Applied Linguistics and Exegesis program at the Canada Institute of Linguistics, Trinity Western University. He earned a D.Phil. in Linguistics from the University of York in 1996 and has done fieldwork in Kenya. His main research contributions have been in the areas of Bantu languages and discourse analysis. See publications. Mary is Associate International Linguistics Coordinator for SIL International. She earned a PhD in Linguistics from University College London in 2007 and has done fieldwork in Chad. 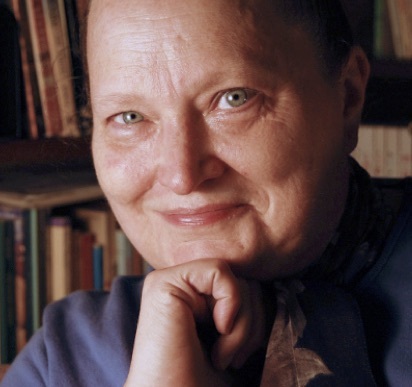 Her main research contributions have been in the area of the phonology of Chadic languages. See publications. Steve is Global Scripture Access Services Director for SIL International. He earned a PhD in Linguistics from Georgetown University in 1986 and has done fieldwork in the Philippines. His main research contributions have been in the areas of sociolinguistics and community-based language development for Philippine languages. See publications. R. Daniel Shaw is Senior Professor of Anthropology and Translation, Fuller Graduate School of Intercultural Studies, and a Senior Anthropology Consultant, SIL International. He earned a PhD in Cultural Anthropology from the University of Papua New Guinea in 1976. Much of his research has focused on Christianity and folk religion, but also includes linguistic and anthropological studies. See publications. Gary is the Chief Research Officer for SIL International and the Executive Editor of the Ethnologue; he is also serving as Director of Pike Center. He earned a PhD in Linguistics (with minors in Computer Science and Classics) from Cornell University in 1979 and has done fieldwork in the Solomon Islands and Papua New Guinea. His main research contributions have been in the areas of linguistic computing and cyberinfrastructure for linguistics. See publications. Keith is a Senior Linguistics Consultant for SIL International; he is also Affiliate Professor of Linguistics at Trinity Western University and Adjunct Associate Professor of Linguistics at the University of North Dakota. He earned a Doctor of Letters in African Linguistics from Leiden University in 1990 and has done fieldwork in Ghana and Cameroon. His main research contributions have been in the areas of tone analysis, phonology, and historical-comparative linguistics of Africa. See publications. Barbara is Director of Research and Advocacy for SIL Africa. She earned a PhD in International Education from the University of Edinburgh in 2004 and has done fieldwork in Peru and Kenya. Her main research contributions have been in the areas of language policy and the use of African languages in formal and non-formal learning contexts. See publications. Peter is Associate Professor of Applied Anthropology at the Graduate Institute of Applied Linguistics. He earned a PhD in Linguistics from the University of Texas at Arlington in 2002 and has done fieldwork in Ethiopia. His main research contributions have been in the areas of sociolinguistics, scripts, and Ethiopian languages. See publications. Catherine is Director of Global Language and Development Services for SIL International. She earned a PhD in Education from the University of Wales in 2011 and has done fieldwork in the Philippines. Her main research contributions have been in the areas of language policy and multilingual education. See publications. Lynell M. Zogbo is an author and editor with the United Bible Societies, following a thirty-year career with UBS as a translation consultant. She earned a PhD in Linguistics from the University of California at Los Angeles in 1979 and has done fieldwork in many countries of west Africa. Her main research contributions have been in the areas of west African linguistics and the translation of the Old Testament. See publications.